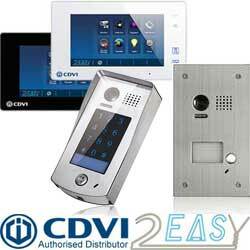 Access control put simply is the control of access to buildings. Sometimes referred to as door entry systems but access control can provide control over access to car parks, secure outdoor areas and essentially any area where you wish to control or limit the access to authorised persons only. We all appreciate that locking a door, gate or barrier is a simple way of controlling who can access an area, however this is impractical when many people may require access as the issuing of keys to hundreds or even thousands of people presents a logistical nightmare, in addition should a key be lost the lock may require changing with the issue of new keys all round. Additionally this form of access control relies upon every user locking the door behind them every time they pass through which we all know is the weak link. 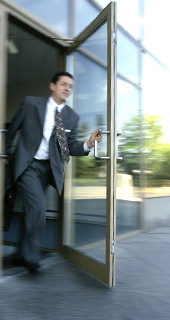 Taking a simple access control scenario, a front door to a reception area of a company, using the traditional lock and issuing all authorised persons with a key leaves a problem as visitors to the company require access. A simple access control system will provide a means to lock the door electronically, a release switch by reception allows the receptionist to open the access controlled door to people and a simple keypad outside the door will allow staff to access the building with a PIN number. An addition to the system may be an egress switch fitted inside the building adjacent to the door to allow people to leave the building with a simple press of the button rather than relying upon the receptionist. 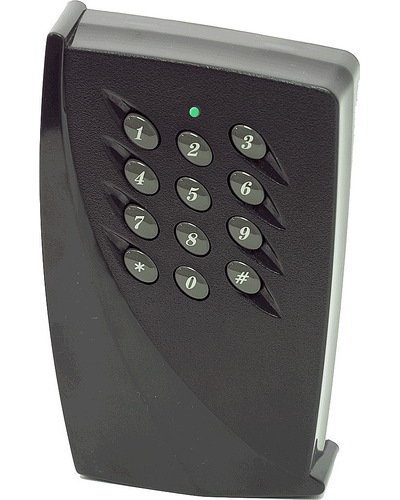 To achieve a simple system as above using conventional wired technology you will need an electronic lock suited to the door, a keypad rated for external use provides a timer to allow people to open the door when either the receptionist door release button or egress switch is operated, or a correct code is entered and should include multiple access control codes and the ability to remove/add codes as required, a push to make switch for reception, another push to make switch (possibly marked push to exit) for the egress switch, a 12VDC power supply to provide power for the lock and keypad and a rechargeable battery to keep the system working in the event of power failure, The wiring whilst simple will require the following, 240V fused spur for the power supply, 12VDC cables from the power supply to the keypad, 12VDC cables from the egress switch and reception desk switch to the keypad, 12VDC cable between the keypad and the lock. 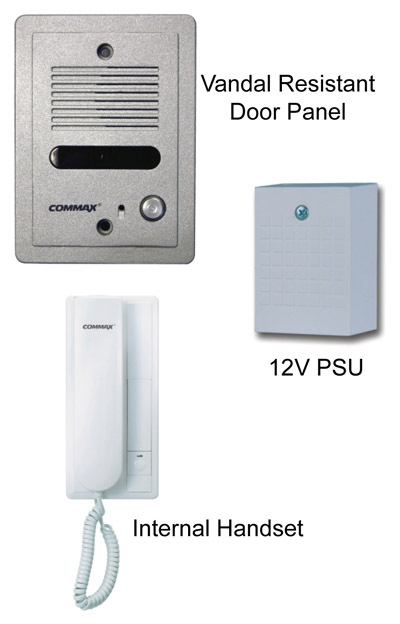 This access control system can be simplified with the use of radio systems, the RF Magnet kit and accessories can provide all the above functionality with radio replacing the cables, a battery operated keypad for outside the door is available, a miniature radio PCB is available to retro fit into any push to make switch to convert it to radio control, hand held radio (key fob) buttons are available to release the lock, fixed radio buttons for reception desk areas are available (once fixed they are more difficult to lose) all these are designed to operate the RF Magnet direct without cables, the only part requiring wiring is the lock, which requires 12VDC from a power supply. 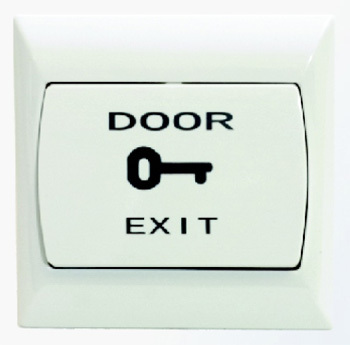 All the above access control and radio system switches can be used with the Digiway door opener for a comprehensive and simple disabled access control system although the Digiway door controller will require a connection to the mains supply. If the reception desk is located in such a position as the receptionist can not see the access controlled door (or the persons waiting to enter) then it may be appropriate to install an audio link to allow the receptionist to talk to the person requiring access prior to releasing the door, such access control systems are available with built in key pads to allow staff to enter the building without delay, a visitor presses the "call" button to speak to the receptionist who can make a decision to open the door, typically this is via a telephone handset with a door release button (and monitor for video if chosen) built in. 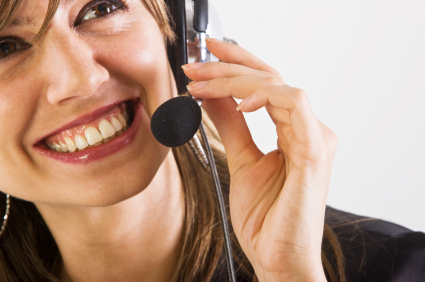 More sophisticated systems may use video as well as audio to allow the receptionist to both see and talk to the person prior to admittance. Video and audio access control entry systems are ideal for situations such as blocks of residential apartments, starting with a one to one system which will allow entry from a single door to a single apartment and increasing to multi way systems with either numbered buttons - one per apartment or a menu system allowing a persons name to be chosen, some systems connect into the PSTN (public service telephone network) and place a telephone call to the apartment allowing mobile telephones, DECT telephones etc to be used as part of the access solution, these systems are pricey but save on cable and maintenance so can prove highly cost effective. Taking access control to the next level of control is the use of access control cards or fobs which are a low cost small device/card with a pre programmed number held within, these cards/fobs are detected by a "reader" by the door, the reader is connected to a controller which has sophisticated electronics to allow card/fob addition/deletion and then "controls" the door, some systems incorporate rules such as time windows or dates when cards are not allowed access, many of the audio and video entry systems above can have an optional "reader" built in for a neat installation. 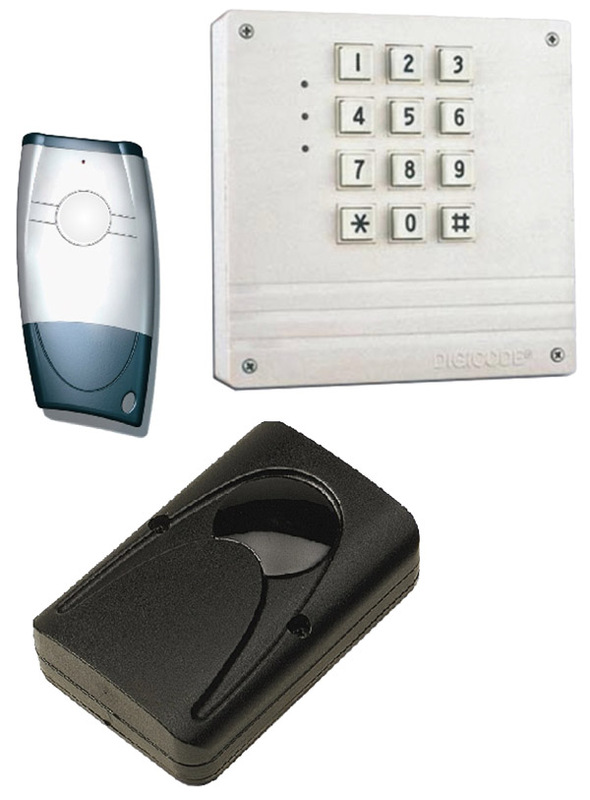 Once choosing to use cards/fobs as part of an access control system you should consider the following questions, single doors/gates/barriers can have a standalone reader/controller as a simple solution at the point of access, single/dual door entrance systems should consider built in readers as part of the video/audio entry control plate, linked to a standalone controller within the building, multiple door (single way controlled or both way access controlled) systems should consider an "online" access control system, the controllers are all linked back to a control PC where all card/fob management, time zones and rules can be set i.e. Mr Smith is allowed anywhere on site except the computer suite but only during 09:00 - 17:00 Monday to Friday. A new development in access control systems is the use of ultra long range RFID fobs, these are simply carried by authorised persons and will open the access controlled door, gate, barrier as they tag is seen in the area, this provides hands free access control which can be perfect for car parks, hospitals, food preparation areas, disabled residential premises and many other uses.